The challenge of deglobalization is to understand, stop and dismantle the global empire that corporations and elites are building and to develop alternatives to confront and replace that process of capital capture in the world. The first step of deglobalization is to understand and deepen the analysis of the process of globalization. Walden Bello has devoted most of his writing to this task. In his view, globalization has had two phases, the first lasting from the early 19th century until the outbreak of the First World War in 1914, and the second from the early 1980s until today. The intervening period was marked by the dominance of national capitalist economies, a significant degree of state intervention, and an international economy with strong constraints on trade and capital flows. 4 The present phase of globalization is a process of neoliberal globalization that had a period of deep advances with the “Washington Consensus” – the IMF, the World Bank and the establishment of the World Trade Organization (WTO) in 1994 – and now we are seeing a period of shocks and crises that complicate but do not stop the advance of neoliberal globalization. The Mexican crisis in 1994, the Asian Financial crisis of 1997, the deep recession in Argentina in 1998-2002, the collapse of the Third Ministerial Conference of the WTO in Seattle 1999, the defeat of the Free Trade Agreements of the Americas in 2005 and the continuing crisis of 2007 that began in the United States and spread to Europe and now is marring the emerging economies – these are the “new normal” of this process of globalization. The process is charactarized by a slowdown of the global economy and in particular of trade in goods while speculative financial capital continues to expand together with a higher concentration of capital in the hands of corporations and elites. The globalization that once was presented as “the end of the story” now confronts the reality that many boundaries of our Earth system, like climate and biodiversity, are being exceeded dramatically. Globalization is moving from the “Washington Consensus” to a new phase of reconfiguration of capitalism – adapting to a situation of permanent chronic crisis, trying to increase the rate of profit of capital, through: a) dismantling the welfare state, in particular in Europe, b) a new wave of privatization through Public Private Partnership, c) an intensification of resource grabbing and displacement of rural populations, d) a “green consensus” to push for the finacialization of nature and the creation of new market mechanisms around nature (REDD, Climate Smart Agriculture, Biodiversity offsetting, trade liberalization of environmental goods and services, etc. ), e) more financial speculation with dramatic cases like the vulture funds in Argentina, f) the development of new technologies like geo-engineering, synthetic biology and others to make business out of the reality of the climate and environmental crises, and g) more ambitious national, regional and global trade and investment liberalization like the Trans-Pacific Partnership (TPP), Transatlantic Trade and Investment Partnership (TTIP), free trade agreements (FTAs), and new Bilateral Investment Treaties (BITs), with the push for the revival and expanding of the WTO into new areas, and finally South-South economic agreements. All of these aspects and others require a deep analysis from the perspective of deglobalization. For example, the increasing control of Transnational Corporation of Global Value Chains or the development of new south-south cooperation agreements that promote the expansion of TNCs in emerging economies. One of the particularities of deglobalization compared to buen vivir (“living well”), localization, the Rights of Mother Earth or the commons is that its emphasis is on the analysis of the process of globalization of capitalism. It does not seek to promote an undeniable truth, but poses key questions to deepen our understanding, strategies and alternatives. The second track of deglobalization is deconstruction. One of the keys of deglobalization is to delegitimize, stop, exploit the contradictions, derail and put an end to the key organizations of globalization. In this regard, people have made a great effort to support different campaigns and initiatives around the IMF, the World Bank and regional banks, as well as the WTO and trade and investment agreements. The process of deconstruction has had important victories like the defeat of the Free Trade Agreement of the Americas (FTAA) or the mobilization against the Ministerial Conference of the WTO in Hong Kong in 2005, after which the WTO got stuck for several years until Bali in 2013. Nonetheless, the lesson after all these years is that these organizations have a great capacity to adapt and revive themselves, capturing elements of the criticism and of the new circumstances and with that, re-launch their offensive. For example, this is the case of the World Bank, which after several defeats in processes of privatization of water utilities, has now repackaged that old aim with a more clever and dangerous proposal called Public Private Partnerships, which have spread all over Asia and other regions. Also, the defeat of the FTAA and the stalemate of the WTO negotiations for several years have led them to promote more bilateral FTAs, regional FTAs only with “friendly” governments, and to promote an early harvest in the WTO with the Trade Facilitation agreements that is still in the balance until it is ratified. Another example is the attempt to try to capture the climate crisis through the “green economy,” launching complementary initiatives in the World Bank, the WTO, the United Nations and the G7. The strategies of deconstruction of international organizations from civil society movements that worked in the past don’t have the same effect in the current circumstances, and they need to be re-imagined and also re-launched at national, regional and global levels. The process of crisis/deepening globalization has had an impact on the trajectories of social movements around the world. The emergence of new movements like Occupy, the indignados and the Arab Spring was very important, but it has had temporary outcomes, and in some cases like Egypt, very contradictory results. In general, we can say that global organized social movements around the world face numerous challenges, with some not getting stronger and other initiatives like the World Social Forum in decline. The election of progressive governments in Latin America linked to or supported by social movements has helped in the promotion of different initiatives of deconstruction in international organizations but the fact that many social organizations have lost their autonomy in relation to these governments and their vision, that in reality is constrained to state capitalism, has in the end weakened social movements in these countries. Also, the tension between those that want to reform and those that want to derail these institutions of globalization has increased in the last few years. The key questions in networks like Our World is Not for Sale are if the strategies are going to be decided thinking based on arguments that can influence negotiators and governments or on proposals that can galvanize the building up of strong social movements. In the same line, it is necessary to review the strategy of support for developing countries or the South in general against the developed countries (or the North) because behind the developing world and the so-called South – who are benefiting mainly are new elites and corporations, including those that are state owned but behave as private corporations when it comes to natural resources, employment and competition. This process is even more complex and diverse if one looks at the regional, national and local levels. In this context, the track of deconstruction of deglobalization has to learn with the social movements exploring new possibilities to strengthen concrete struggles and promoting new processes of convergence that go beyond particular campaigns addressing the specific issues of trade, climate, finance and others from a perspective of changing the system. In his latest book, Capitalism’s Last Stand? (2013), Walden Bello has expanded the original 11 principles to “14 key principles of the deglobalization perspective.” The heart of the deglobalization approach is in those principles that advocate for a new kind of process of global integration that strengthens the capacity of local and national economies instead of degrading it for the benefit of transnational corporations. In this path, deglobalization shares the principle of subsidiarity that is proposed by other alternatives like “localization,” but its center of gravity is much broader and concerned with how to change capital-driven globalization. In this regard, deglobalization is more in line with initiatives like Food Sovereignty from the global peasants’ movement La Via Campesina (with 200 million members worldwide) that tend to act and respond at local, national and global levels. In the publication, “Derailers’ Guide to the WTO and the Free Trade Regime” (2013) by Focus on the Global South, Shalmali Guttal and Mary Ann Manahan highlight several experiences of food sovereignty like the Sisters Garden Plot (SGP) in South Korea, The Landless Workers’ Movement (MST) in Brazil, Community Supported Agriculture (CSA) programs in Europe and North America, the initiative of peasants’ organizations allied with nuns in Colombia to promote peasant family markets, the initiative of hawkers in Calcutta in India, the Alter Trade Negros in the Philippines, and many others. Deglobalization has also inspired initiatives that have to do with rethinking and reshaping how national economies should address globalization, like the withdrawal of Bolivia, Venezuela and Ecuador from the World Bank’s ICSID (International Centre for Settlement of Investment Disputes), the provisions in the 2009 Constitution of the Plurinational State of Bolivia that denounce all BITs, the process of revision, denouncement or non-renewal of BITs in some countries, the replacement of Bolivia’s FTA with Mexico in 2010 with an agreement only on goods and services that does not include chapters on Intellectual Property, Investment, Government Procurement and others. Also, deglobalization is behind the “Statement: To confront the climate emergency we need to dismantle the WTO and the free trade regime”9 (2013) supported by several social organizations as one of the first responses that challenges the impact of globalized trade in climate. And finally, one of the most recent and comprehensive “living documents” that is inspired by deglobalization is the “Economy for Life” document that was debated and enriched in the alternative peoples summit to the WTO in Bali (2013).10 This text includes many proposals regarding how to confront globalization at different levels. As happens with all progressive approaches, its development has gone far beyond some of its original proposals. 1. Production for the domestic market rather than production for export markets must again become the center of gravity of the economy. 5. Long-postponed measures of equitable income redistribution and land redistribution (including urban land reform) must be implemented to create a vibrant internal market that would serve as the anchor of the economy and produce local financial resources for investment. 6. De-emphasizing growth, emphasizing upgrading the quality of life, and maximizing equity will reduce environmental disequilibrium. 7. The power and transportation systems must be transformed into decentralized systems based on renewable sources. 8. A healthy balance must be maintained between the country’s carrying capacity and the size of its population. 9. Environmentally congenial technology must be developed and diffused in both agriculture and industry. 10. A gender lens must be applied in all areas of economic decision making so as to ensure gender equity. 11. Strategic economic decisions must not be left to the market or to technocrats. Instead, the scope of democratic decision-making in the economy should be expanded so that all vital economic issues — such as which industries to develop or phase out, what proportion of the government budget to devote to agriculture, etc. — become subject to democratic discussion and choice. This will entail the demystification of economics and a return to its origins as political economy and moral economy. 12. Civil society must constantly monitor and supervise the private sector and the state, a process that should be institutionalized. 13. The property complex should be transformed into a “mixed economy” that includes community cooperatives, private enterprises, and state enterprises, and excludes transnational corporations. Excluding those critics that depart from the misconception that deglobalization promotes autarchy and isolation, activist academics like Patrick Bond have criticized some of the formulations of the book Deglobalization written by Walden Bello in 2002. [Patrick Bond] Is there not a more expansive way to address deglobalization, by departing from a dual-reformist notions of globalized-regulation and utopian-localized strategies? Would it be so difficult for intellectual leaders like Bello to mention the prospect of revolution–namely, defense of a takeover and total transformation of state power, in the manner carried out so often historically, but so rarely taken to fruition? Deglobalization cannot fully flourish without capturing national power by social forces and replacing neoliberal or reformist governments. The experiences of progressive governments in Latin America show that national governments are key to move an alternative agenda but there is the risk that the system can co-opt them. Without peoples power there is no possibility of deep deglobalization. 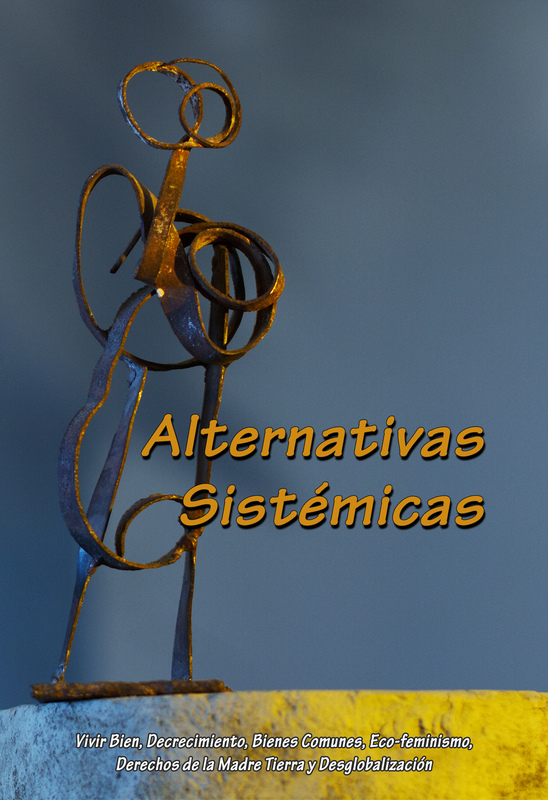 Some of the other critiques have been addressed in other texts by Focus on the Global South like the “Derailers’ Guide to the WTO” and also in more collective documents like “Economy for Life” that highlight the fight against privatization, commodification, financialization and the need to break with the institutions that promote them. But there is surely more to be done in this process of collective construction. Replace the paradigm of development with the paradigm of redistribution and equity. To address the basic needs of more than half of the world’s population and end the disruption of the vital cycles of the Earth system, global and national economies have to redistribute wealth to reduce asymmetries under the limits of nature. Some sectors and countries still need to improve their well-being while others need to reduce their overconsumption and waste. Take control over, in a democratic and conscious way, the key means of production, finance and trade and establish mechanisms of complementarity, solidarity and redistribution penalizing the over-accumulation of wealth and the destruction of ecosystems. Bring producers of goods, providers of services and people closer together, promoting self-management, self-emancipation, solidarity and social interaction in harmony with nature. …promote local production and consumption of durable goods to satisfy the fundamental needs of the people and avoid the transport of goods that can be produced locally. End the system of overconsumption, luxury and waste driven by large corporations. Transform trade into a vehicle for complementarity and not for competition and profit. Trade should be guided by the need of the people and not by the greed of TNCs, interchanging in the market what a community, region or country produces in excess, after satisfying its local needs or what they cannot produce locally. This involves giving priority to the value of use of all produced goods over their value of exchange… trade rules have to be asymmetric: more beneficial for the weakest and more demanding for the strongest. Socialize the money that currently is under the control of central banks that respond to private interests and not social demands. Implement a global mechanism of state and citizen control of banks and financial institutions. Prohibit hedge funds, derivatives and other toxic products. Establish progressive taxes as a means for redistribution and to end the concentration of wealth in a few hands. These measures should include taxes to high incomes, movements of capital, luxury goods and profits, financial transaction taxes, taxes on fossil fuels and other polluting activities and the elimination of tax havens. Cancel the debt of countries that were imposed to the people to fulfill corporate and private interests. Establish systems of democratic, accountable, fair, sovereign borrowing and lending that serves the people and nature. Dismantle Transnational Corporations’ power in order to achieve equity and justice. Return to society the private property controlled by elites, TNCs, big banks‘, national corporations’ and ‘sub-national corporations’. Democratize the management of public state owned enterprises. Encourage public service managers, staff, unions and consumer/social organizations to collaborate to this end and to sanction corruption and nepotism practices. Dismantle the World Trade Organization (WTO), the World Bank (WB) and the International Monetary Fund (IMF). New multilateral organizations to deal with the issues of finance, trade and credit have to be developed under a new multilateral scheme that looks for all aspects of our Earth community. Deglobalization has to harvest and learn from the different experiences and initiatives that it has inspired. Today, the concept is richer than a short list of principles that need to be further developed and actualized. Some recent proposals like “a healthy balance between the country’s carrying capacity and the size of its population”12 must be clarified and developed to avoid unnecessary debates that can move us away from the main contributions of deglobalization. The center of gravity of trade and investment of deglobalization has to be further developed, taking into account the changes in the current processes of globalization. The political component of deglobalization has to go beyond proposals of just “more democratic decision-making.” Probably the most important debate around deglobalization is in relation to that “mixed economy that includes community cooperatives, private enterprises, and state enterprises, and excludes transnational corporations.” Economic pluralism is key, but the exclusion of TNCs does not automatically mean that those “mixed economies” will be shrug off the logic of capital. The key question that remains to be answered is how to build plural economies at national and global levels that are not driven by capital. Expressions that suggest that initiatives like the Bolivarian Alliance for the Peoples of Our Americas (ALBA) have transcended the logic of capitalism are not accurate, even though they have included progressive attempts to develop processes of integration based on complementarity and not competition. We must learn from the successes and failures of these experiences. Finally, the deglobalization movement has different voices with different views that need to strengthen their interactions with other alternatives that, from different roots, are challenging contemporary capitalist globalization. 4. Walden Bello, Deglobalization: Ideas for a New World Economy, 2002. 6. Walden Bello, Capitalism’s Last Stand?, 2013. 11. Patrick Bond, ““Deglobalization”? Sure but… “, 2003. [Xavier Ricard Lanata] El punto clave me parece ser que la desglobalizacion es un proyecto global, y no puede ser sino un proyecto global. La cuestion hoy en dia es generar un movimiento social, de largo alcance, a favor de un proyecto global desglobalizador. Este movimiento social no puede ser solo el de los indignados o de las falanges altermundialistas. Hay que generar una corriente de opinion que reuna partidos politicos, empresarios, sindicalistas, ONGs, etc. en favor de un proceso globalmente organizado de desglobalizacion. Pensemos en el Comité de Accion por los Estados Unidos de Europa, organizado por Jean Monnet entre 1955 y 1975, y que logro los alcances que sabemos en Europa. Esto no solo implica modificar las organizaciones internacionales, sino generar una nueva subjetividad, que sea, a la vez, localmente arraigada (es decir muy compenetrada con la problematica local de la autonomia y de la ecologia politica) y politicamente globalizada. A mi me parece que esto se lograra mediante acuerdos de cooperacion y de intercambio economico, etc. entre territorios, a escalas locales, regionales e internacionales.